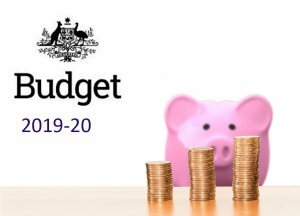 Last night’s Federal Budget 2019/20 dubbed by the Treasurer as “back in the black and Australia is back on track,” paves the way for an interesting Federal Election campaign. Rather than being debated and passed in Parliament this week, the Budget is essentially the blue-print for a May federal election. Whilst all budgets attract both support and criticism from a plethora of groups, there’s no doubt this budget has a strong focus on major infrastructure and tax cuts for business and middle income earners. The Chamber of Commerce and Industry Queensland (CCIQ) has welcomed the announcement of a budget surplus for the first time in a decade with the nation’s finances benefitting from higher commodity prices with income tax relief, a positive for the nation’s workers. The Federal Budget papers revealed a surplus of A$7.1 billion effectively being brought forward a year earlier than originally forecast and at a time where receipts from Australia’s mining sector continues to support the economy amidst a backdrop of weakening business confidence and subdued growth. We have broken down some of the key takeouts of the Federal Budget that are relevant to small business. Total revenue for 2019-20 is expected to be $513.8 billion, an increase of 3.6% on 2018-19. Total expenses are expected to be $500.9 billion, an increase of 2.8% on expenses in 2018-19. Higher tax discount rates for unincorporated small businesses up to $1,000, to 13% in 2020-21. Bruce Highway at $10 billion. M1 Pacific Highway at $1.2 billion. Beerburrum to Nambour Rail Upgrade at $390 million. Brisbane Metro at $300 million. Melbourne to Brisbane Inland Rail total funding at $9.3 billion. Immediate and targeted relief to Australian farmers dealing with natural disasters. New $3.9 billion Emergency Response Fund. $300 million in grants for flood-affected farmers. $1.8 billion in low-cost loans to support banks offering lower interest rates to flood-affected farmers. $6.3 billion in assistance and concessional loans to support farmers affected by drought. Investing $3.9 billion in the Future Drought Fund. Tax relief for low and middle-income earners up to $1,080 for singles and $2,160 for dual income families. 32.5% rate will be lowered to 30% and 37% rate will be abolished in 2024-25. « Strong membership support reflects confidence in region!